Don has served as Director of Music at First Presbyterian since February 2008. In addition to being an ordained Deacon and Elder, he has been a Certified Church Musician (CCM) through the Presbyterian Association of Musicians since 1985. Don has conducted numerous workshops on church music, directing church choirs, conducting, and singing. 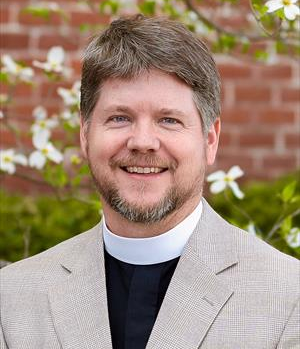 He has been active with the Charlotte Presbytery and Providence Presbytery. Joanne grew up in Lancaster, SC but relocated to Rock Hill over 40 years ago when she married her husband, Randy. They have two grown children, Brandon and Kayla who live in Rock Hill and Summerville, SC with their spouses. After 16 years with the Rock Hill School District, she retired and came to First Presbyterian Church in June 2018. She is excited about this new adventure she feels God has given her and she looks forward to work every day. She enjoys music, good food, making crafts, and spending time with family and friends. Julia joined the music program in 2016. She is an instructor of Music Education at Winthrop University and previously worked as an elementary school music teacher. She is a member of the choir and performs as a flutist at the Episcopal Church of Our Saviour. She received a Bachelor and Masters of Music Education from Winthrop, and is continuing her studies toward the Ph.D. in Music Education at the University of Oregon. "Mickey" Johnson has been involved with church music since 1960 when he became organist for a small Presbyterian church in Thunderbolt, GA (at the age of 13!!). In 1985 he became involved with handbells while serving First Presbyterian Church, Savannah, GA as Organist/Director of Music.